Ejido Verde is a Mexican partnership between the pine resin industry and indigenous communities to establish 12,000 hectares of pine reforestation on degraded lands in the Mexican state of Michoacan. These native pines after 10 years are tapped for resin, an indispensable global commodity with 50 different uses. These dense reforestations increase pine-tapper income by 500%, protect aquifers, and provide sustainable income for the natural life of the pine tree (around 80 years). The initiative so far has planted over 3,000 hectares and has been supported by Kiva Microfunds and the Mexican government. In Mexico, 80% of fisheries are overfished. SmartFish is creating new markets for sustainable seafood to reward Mexican artisanal fishers for fishing more responsibly, improving both livelihoods and ocean health. They are the only buyer/distributor of exclusively certified sustainable seafood in México. SmartFish empowers fishing co-ops to produce high quality, responsible seafood, and cultivates demand for and sell their catch to premium consumers, and retailers. As a result, fishers can earn more catching less, fishing more sustainably. Pixza is a social empowerment platform in the form of a pizzeria that offers the first and only pizza made of blue corn with 100% Mexican ingredients in the world. After every 5 slices sold, the 6th is given to at-risk youth in order to participate in a social empowerment program called "The Route of Change". Those that graduate from the program receive a formal offer of work at the pizzeria, and enter into a profound social empowerment program. Bolsa Rosa is the first and only company in Mexico dedicated to growing the employability and reducing the discrimination and work disadvantages of women in Latin America, providing access and creating opportunities so that they can participate in the labor market and be more economically independent. Bolsa Rosa supports the professional development of talent and innovation in the labor market through a platform dedicated specifically for women, specifically mothers, and flexible work opportunities. Extensio is an information and communication platform for the agriculture sector, connecting key actors in the value chain to Mexican farmers through a call center, mobile technologies and the internet. Extensio grows the incomes of farmers and sellers of agriculture products, and streamlines the logistics in the supply chain, diminishing unnecessary costs for the agriculture sector. Through Extensio, farmers have access to market information (prices, bids and offers) as well as knowledge (weather and tips) enabling them to grow their crop productivity and obtain better sales prices. 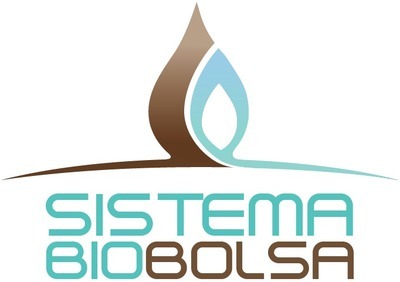 Sistema Biobolsa manufactures and distributes small-scale, affordable biodigester systems that transform livestock waste into organic fertilizer for crops and biogas for cooking, heat and electricity. To support these farmers, Sistema Biobolsa not only sells its equipment, it also trains rural families on how to use the biodigesters in order to process their waste and create energy. To date, Sistema Biobolsa has partnered with many prestigious organizations, including Kiva, Santa Clara's GSBI program, the Clinton Global Initiative, and Ashoka. Cántaro Azul democratizes water ownership by empowering communities to collect, purify, monitor, and sell their own potable water. Access to potable water is a legal right in Mexico, yet many citizens in rural areas lack access to this resource. Cántaro Azul is therefore returning potable water production capabilities to rural communities. Based out of the Mexican state of Chiapas, Cántaro Azul has developed innovative solutions that allow people from rural communities to consume safe water through household systems, kiosks, and micro-franchises operated by female entrepreneurs. These programs allow them to create totally self-sufficient potable water systems. Hippocampus Learning Centers (HLC) mission is to provide affordable high-quality care and education, accessible to the most vulnerable children. To achieve this, it establishes and operates learning centers focused on at-risk children from 2 to 6 years old. The secondary focus is providing livelihood opportunities empowering local women through recruitment, training and deployment as ‘edupreneurs’ in the centers. It's low-cost, specialized curriculum, teacher selection processes and training and a relentless focus on quality made them one of the largest operators of preschools in India. Hippocampus will be launched in 2016 in Mexico where more than 6 million of children with less than 5 years old live in poverty and do not have access to quality care and education services. Connovo is an impact venture-builder based in Mexico since 2015. Their mission is to effectively build high impact ventures to create a more equitable and sustainable Mexico in which everyone has access to quality opportunities. Instead of building ventures from scratch, Connovo adapts the business and impact models of successful social enterprises from other countries to Mexico. Connovo has already launched 3 high impact ventures: Tecnorural, Hipocampus and hola<code> and it plans to create 6 new ventures focused on bringing effective solutions to the main challenges of the education system in Mexico. Hola<code> develops and manages immersive 5-month software engineering bootcamps focused on providing access to high demand jobs for underserved youth. For its pilot, Hola<code> will focus on serving a highly vulnerable community of young women and men returning voluntarily/involuntarily from the US to Mexico. Hola<code> has a people-centred approach and a career-oriented programme which supports every step of the path so that students expand their capabilities and access a decent job in the IT sector. Hola<code> uses Hack Reactor’s curriculum (the Golden Standard in coding bootcamp in the US) which has already been replicated successfully by ReBootKamp in a refugee camp in Jordan. Recicla más is a recycling project with the objective of strengthening the management system of solid wastes in Mexico City through an integral management of waste, based in the separation of waste, the selective recollection and inclusive, participative and gender perspective recycling. The project will unleash positive changes in the working, social and economic environment of the cleaning system laborers, in addition it will increase the quality and amount of recycled materials recovered from 3 neighborhoods of Mexico City and it will decrease the amount of solid waste that ends buried in landfills or open dumpsites, reducing the amount of contamination in the planet. Recicla más is a project initiated by Fundación Avina, Bonafont and Danone Ecosystems. Through their pre-payment solar energy systems, they provide electricity and light to the population without access to electricity in Mexico. This is done in a sustainable and autonomous way that allows the communities to pay less for these services than what they are currently spending on the most common alternatives. Vitaluz achieves their objective through scalable models and innovative technologies that prioritize the inclusion and participation of communities to make them part of the solution. For more information, visit http://vitaluz.mx/. CO_Capital is a Mexican fund that seeks sustainable and impact investments, investing in enterprises where a financial return is linked to a positive impact in society and environment. They aim to address the need for underdeveloped markets with innovative business models that do not have access to financing to grow. In Mexico there is a problem linked with the access to electricity network, affecting more than 425 thousand homes that do not have access to it. Those families that are in this problem must resort to the use of candles, Diesel and other sources that can affect their health. The solution proposed by Iluméxico is to change these devices for a sustainable energy source, investing in a solar technology equipment for the whole family and improving their quality of life. Oven seven years, Iluméxico has helped more than 9,000 families with solar systems in their homes, installed about 500kW of power, displaced 5000 tons of CO2, electrified 69 rural schools and community centers, among other aspects. In Mexico there are more than 20 million people without access to safe drinking water, causing a lot of gastrointestinal illnesses. Indigo Impacto gives a solution to this problem providing consumable water to those communities, through financial models based on microfinance that promote de local economic development. Over the years, Indigo Impacto has provided affordable drinking water to 2000 people un more than six rural communities, generating weekly monetary savings of between 20% to 45% for water consumers and empowering 31 entrepreneur women developing their own businesses. Value for Women is a global consultant that brings together a multi-disciplinary team of researchers, business experts and gender specialists to support gender inclusion in business. Their objective is to identify and test new solutions that impulse the women’s empowerment and gender inclusion, while unlocking the powerful economic potential that women have. To achieve this objective, Value Women does investigation in the enterprise ecosystem, diverse training methods and tool design that give access to long-term financial and social results. Alterna is a social business accelerator whose objective is that people, companies and organizations can develop new ways to change their reality through businesses and ventures. They have more that ten years of experience helping impact entrepreneurs and a developing a team, whose main interest is the success of every single company with which they collaborate.